For my mom’s birthday on Thursday, she and I wanted to go to go out for a special lunch treat. We wanted something that we don’t get everyday, but we wanted to make sure the place was awesome. 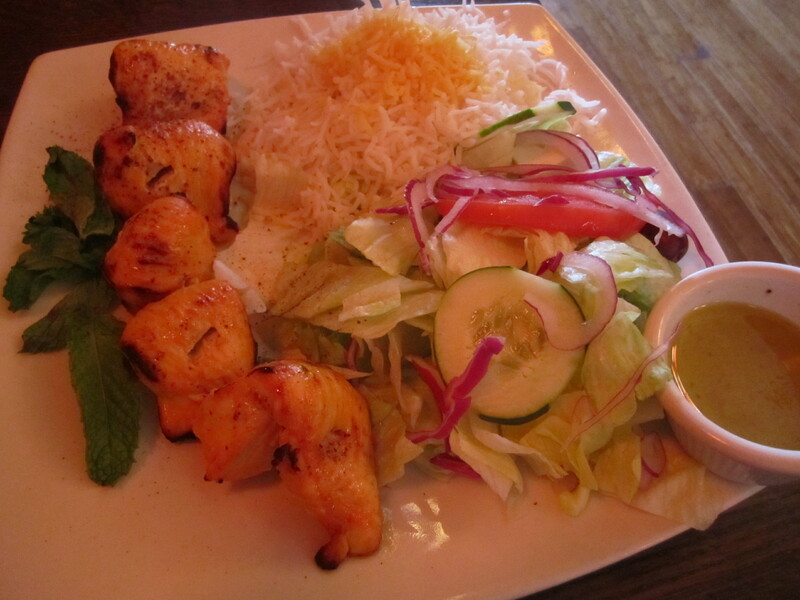 We turned to Narenj Persian Grill in Basking Ridge, New Jersey: our tried and true go-to fave for Mediterranean and Middle Eastern cuisine. Check out what we ordered and what we thought! The sambosas are delicious, and I ca never pass them up on a trip to Narenj. 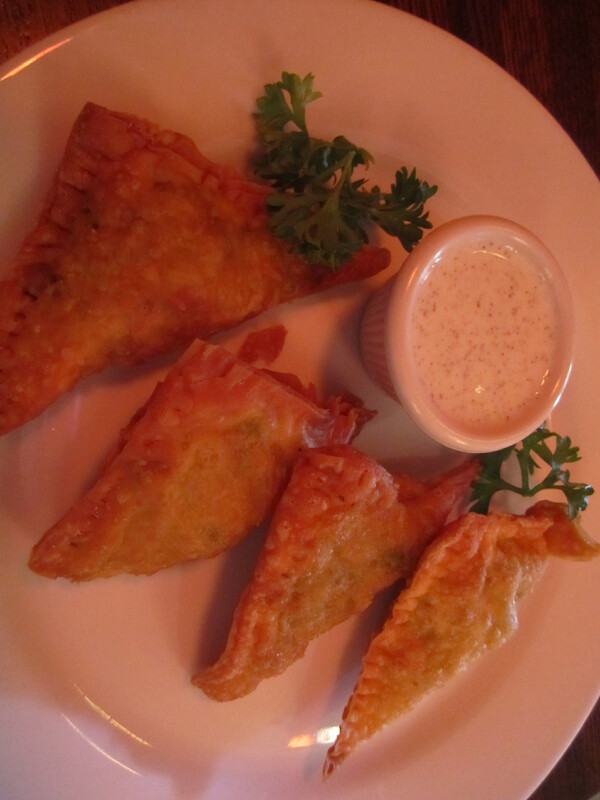 Fried crisps stuffed with potatoes, onions, green beans, and spices are delicious! 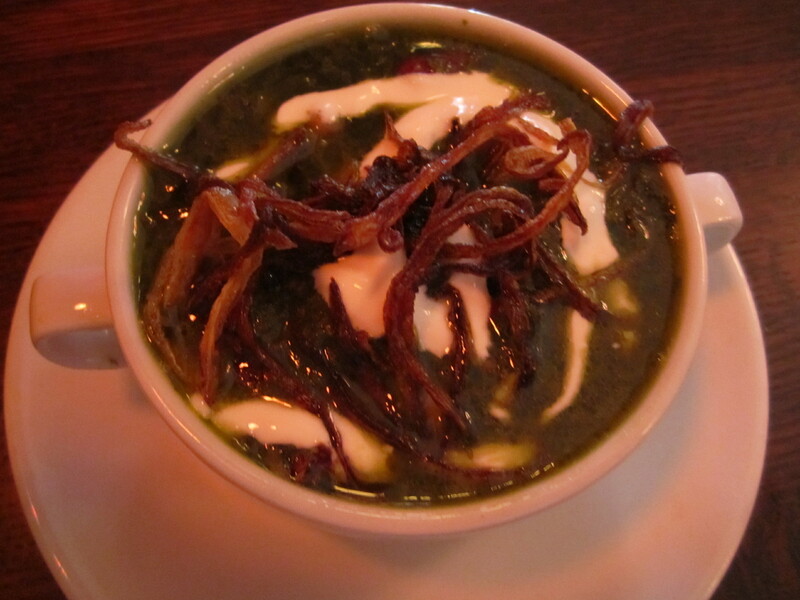 My mom decided to try Ash-e-reshteh, as the menu called it a “Persian favorite.” This soup was a sort of stew containing everything but the kitchen sink: noodles, lentils, scallions, herbs, and topped with homemade yogurt, friend mint, and crispy fried onions. The mint and scallions stood out the most. It had an unusual taste, but it was a cool treat to try. 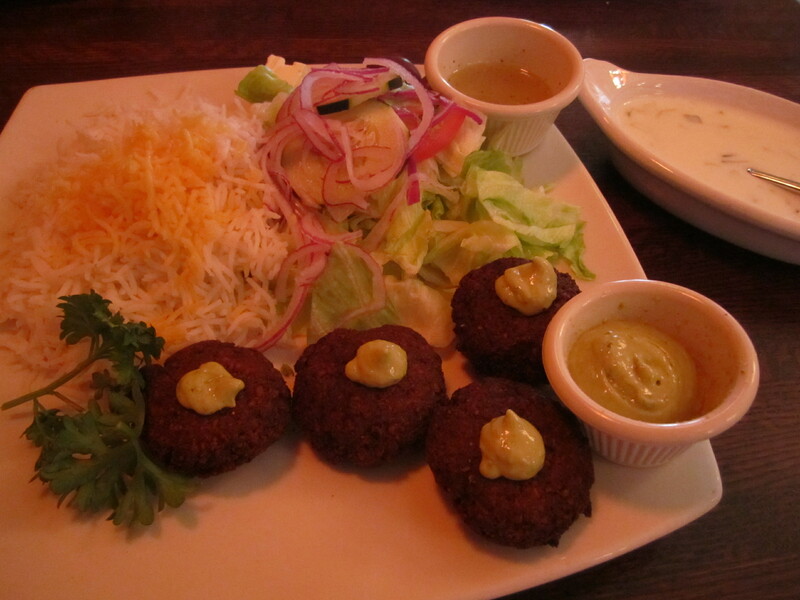 Falafel is one of my favorite dishes, and I get Narenj’s falafel platter on every visit. Here are the crispy falafel balls dotted with homemade tahini sauce. mixed yellow and jasmine rices, Greek salad with feta, and a side of cucumber yogurt (tzatziki sauce). This is a great way to sample everything, and when you’re through with this platter, you’ll be stuffed! My mom ordered the chicken kabob platter, which had all the fixings of the falafel platter just with bite-sized grilled chicken pieces. As you can see, everything on the lunch platters is fresh and healthy. If you have never tried Persian-style cooking, definitely consider it. Vegetarian (and vegan) options are plentiful, but everyone will find something that they love. If you’re in the area, check out Narenj. Keep an eye out for other great opportunities to try these dishes!